Please note, however, that this may prevent any access points which connect solely via wireless from connecting to your network. BT’s HomeHub routers, available in the UK, include a feature called Smart Setup which uses a captive portal wizard to connect new devices for the first time. Captive portals are not supported by imp-enabled devices and therefore Smart Setup will prevent them from connecting to the Internet. 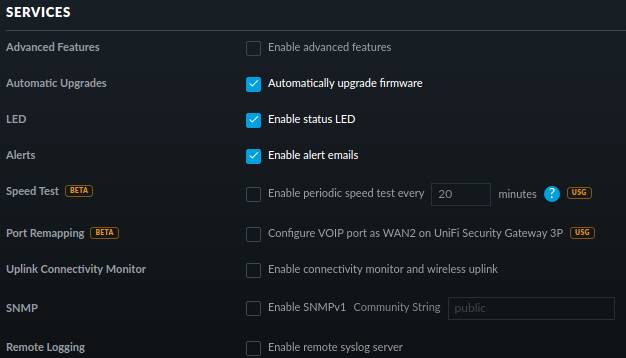 If an imp-enabled device is not connecting via a BT HomeHub 4, 5 or later ,disable Smart Setup](http://bt.custhelp.com/app/answers/detail/a_id/44328/%7E/what-is-smart-setup-on-the-bt-hub%3F-how-can-i-turn-it-on-and-off%3F). Typically, the imp will connect to the HomeHb’s WiFi network but not to Internet services, including the Electric Imp impCloud™. Once a device has connected via the HomeHub, it will no longer be presented with the captive portal, so it is safe to re-enable Smart Setup if you wish. The imp will now connect whenever it needs to. You may need to temporarily disable Smart Setup again if you ever perform a factory reset on the HomeHub.